For local authorities, industry and other audiences. We facilitate discussions on waste treatment technologies, procurement, carbon impacts and partnership working. 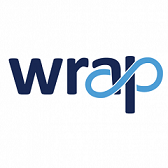 We have also developed and delivered training courses on behalf of Defra, Ministry of Defence and WRAP. 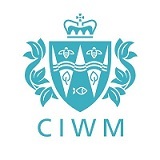 Frith Resource Management facilitated a workshop for Derbyshire Waste Partnership which consists of 8 District/Borough Councils and the County Council. The workshop was divided into three key sessions, joint service opportunities, benefits and risks, and developing a priority work programme. Several short, medium and long-term joint service opportunities were identified during the workshop. Six potential opportunities were highlighted as the key areas to focus on which included joint procurement and restricted residual capacity. The workshop provided an opportunity for officers from each of the councils to discuss their ideas, opinions and potential concerns to help provide the partnership with strategic direction.